What Makes Ride: Equestrian Simulation Enjoyable? Rate this Article There are so many reasons why you will love the horse simulator Ride: Equestrian Simulation. Read on, and find out what those reasons are. 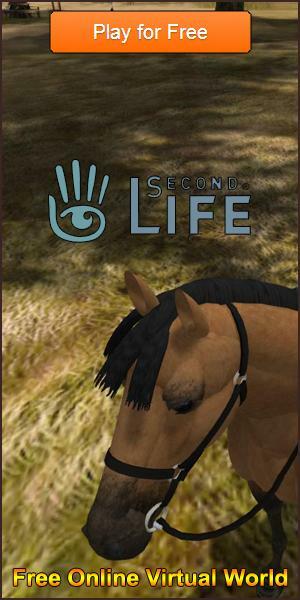 There are so many reasons why you will love the horse simulator Ride: Equestrian Simulation. Read on, and find out what those reasons are. You will certainly find yourself wanting to play the game once you’re done with our piece. First, the game has extraordinary graphics to boast to the player who decides to play. The three-dimensional graphics for this virtual horse simulator are highly detailed and nearly realistic. You can move and turn around your horse in 360 degrees, giving you a fully 3-dimensional environment that you can immerse yourself in. It sure beats the two-dimensional designs of other horse racing games. The controls in the game are very easy to learn. They are quite intuitive. This is because your horse is not controlled using the mouse, but rather the arrow keys on the keyboard. While others may find it cumbersome given the three-dimensional design and the full rotation that you are capable of here, using the arrow keys actually make it a lot easier for you to manage your horse’s turning radii. In other words, you can avoid having too wide a turning radius because you’re using the arrow keys instead of the more responsive mouse. You won’t have to contend with a lot of headaches when you’re playing this game. It will, however, take a bit of time to get used to if you’re more of the mouse warrior when playing games. The experience is very immersive. If you’ve always wondered about how you can become a horse breeder or what it’s like to train these powerful beasts to do what’s needed of them, then Ride: Equestrian Simulation will answer all of your questions. There are a lot of activities to do here, mirroring exactly the reality that there’s just a lot of work that goes behind training a racing horse. One of your tasks is to ensure that your horse’s skills are kept sharpened. This is to ensure that he or she is always at the peak of their performance when racing time comes in. To do this, you’ll have to schedule training for the horse. Now, each horse has different attributes, so you have your work cut out for you on this one. You can even choose to let the computer train the horse for you, or you can choose to get on the horse’s saddle and do the training yourself! The level of realism in this game is impressive. While you may be tempted to train your horse to the utmost of its capability, you’ll find that they’ll actually be too tired to race if you push them to their limits. Thus, you’ll learn to strike a balance between training hard and resting fitfully. You’d need to rest, and so does your horse. Of course, you have the racing aspect of the game. You play against Artificially Intelligent (AI) opponents, but don’t get too complacent. As you develop as a racer, so do your opponents! There’s no shortage of challenges when racing in Ride: Equestrian Simulation. There you have it! These are the reasons why you should be playing Ride: Equestrian Simulation, and we mean NOW.